In today’s episode, I interview Courtney Adamo, co-founder of Babyccino Kids and author of the children’s book 9 months: A month by month guide to pregnancy for the family to share. Courtney takes us through the journeys of her five pregnancies and births. Courtney shares how her experiences with each of her previous birth journeys lead her to have the most idyllic home birth with her fifth baby Wilkie. Courtney fell pregnant for the first time at the age of 23, whilst living with her then-boyfriend Michael. At this time they had been dating for a year and a half and living in London. Despite the pregnancy coming as a bit of a shock, Courtney describes Easton’s pregnancy as a ‘welcomed surprise’. Courtney found it quite overwhelming in the early stages of her pregnancy as she had only been living in London for a year and the midwifery system in London was quite different from what she knew of the American Obstetric lead birthing system. Courtney decided to hire a private midwife because she liked the idea of seeing the same midwife throughout her pregnancy. All of her antenatal appointments were conducted in her London flat in a comfortable and relaxing environment. She was given the option with her private midwife to birth at home or at the local birthing center. Easton’s labour was long and quite overwhelming and when his labour began to slow, and Courtney was becoming increasingly fatigued, she was transferred from the birth center to the local hospital. She then ended up having an epidural and 40 hours later Easton was born. Courtney explains it was not at all what she had envisioned for her birth. Twenty-Two months after Easton’s birth Courtney gave birth to her second son Quin. After Easton’s birth experience, Courtney had decided to hire the same private midwife and try and have a natural home birth. Courtney went into labour with Quin a few days before her due date and had another long drawn out and painful labour. After labouring at home for quite some time, Courtney was surprised to hear her midwife suggest that maybe she should transfer to the hospital. Courtney’s midwife felt there was something holding her back from birthing at home. Courtney made the frightening 2 am journey to the hospital and she gave birth quite dramatically on arrival at the hospital. Despite the dramatic transfer and quick delivery, Courtney found her recovery after Quin’s birth quite remarkable and she ended up walking home three hours after delivery. She and Michael sat in the sun in Hampstead Heath with their three hour new born and savoured the rare English sunshine. Courtney fell pregnant with Ivy when she was away on a child-free holiday in New York. Another welcomed surprise as Courtney conceived at the end of her period and must have ovulated earlier than usual. Despite being quite nauseous in the first 12 weeks, Ivy’s pregnancy was very similar to that of the boys, leading Courtney to believe she was carrying another boy. After experiencing an epidural birth with Easton, and then a drug-free, but dramatic transfer birth with Quin, courtney knew she wanted to do thins differently for her third birth. When the day came, Courtney made the decision to go straight to the hospital and she had a much quicker birth with an epidural. The epidiural actually only worked for one side of her body. Courtney’s found with Ivy’s birth she was able to be more present. She remembers details vividly such as her sister’s face when ivy was born and the sounds and smells in the room, which she attributes to one of the benefits of having an epidural. When Courtney’s fourth child, Marlow was conceived there was a shift in Courtney’s view and understanding of birth. She took up Yoga for the first time in her life and she read Ina May Gaskin’s book Guide to Childbirth. Courtney also gave Ina May’s book to Michael to read and she felt that the two of them were on the same page and were incredibly well prepared both physically and emotionally for Marlow’s birth. To the great surprise of the staff at the NHS hospital staff, Courtney presented herself at 38 weeks to register for her birth. Courtney had no antenatal appointments during this pregnancy (despite having the twelve and twenty-week scans). Marlow was delivered in the water in the local Birth Center with a beautiful midwife who completely trusted Courtney to have a physiological birth. Courtney remembers how her midwife sat quietly in the corner and told her to reach down and catch her baby when the time came. Because of Marlow’s beautiful birth and the experiences she had has with her other births, Courtney felt she was now ready to have her home birth. A home birth with her four children present. She felt that Marlow’s birth has built her confidence. She felt that she and Michael had had that intimate moment with Marlow’s delivery and she was ready to share this experience with her other four children. 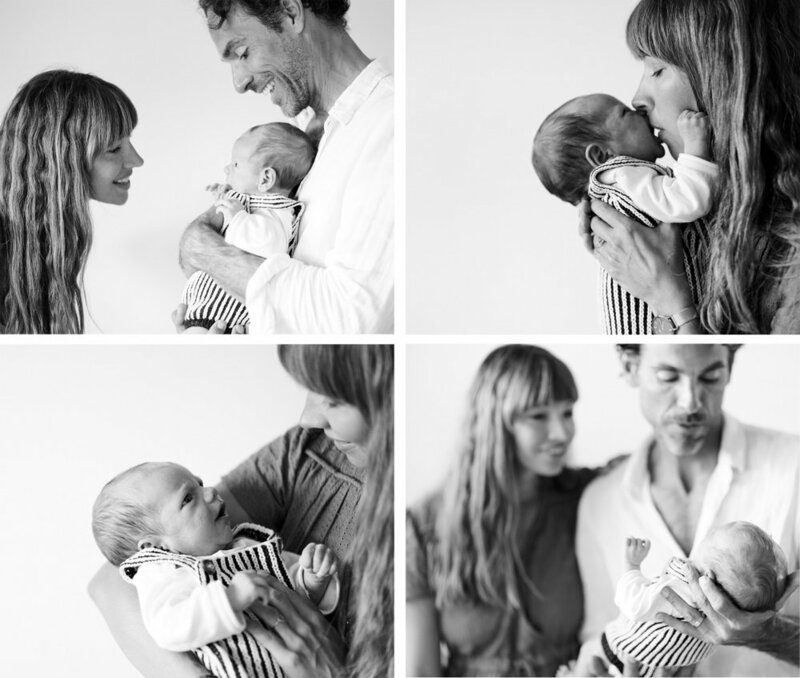 To hear how Courtney was able to have an idyllic home birth with her fifth child Wilkie, tune into Courtney’s episode. 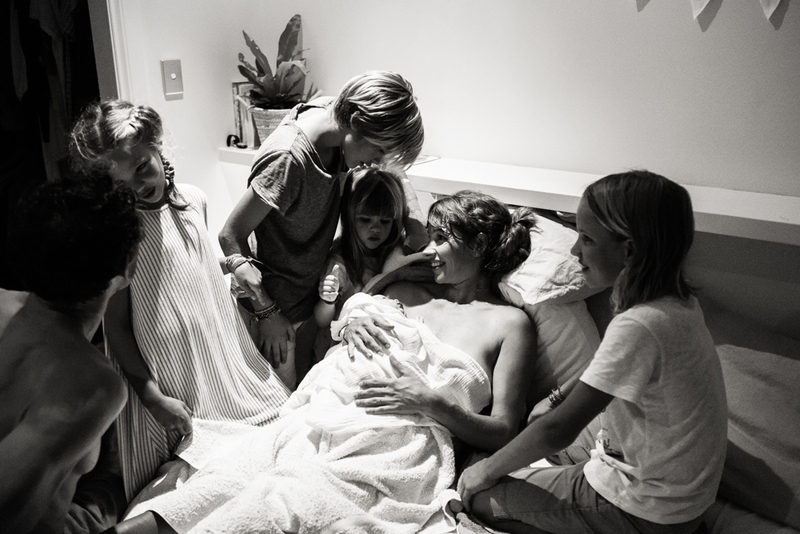 Topics covered: epidural, private midwife, birth center, water birth, home birth, Courtney Adamo, Babyccino Kids, 9mths, breastfeeding, Byron Bay, Ina May Gaskin’s “Guide to Childbirth”.